PRINCETON, N.J. (March 11, 2019) — The Dow Jones News Fund today launched a new video series promoting journalism careers and the critical role journalists play in American society. The Fund slated the launch to coincide with Sunshine Week, recognizing the importance of open government and access to information for a free, robust media industry. The first video, “Journalists are Vital,” features professionals offering their views about the future of journalism, why they love their jobs and why journalism is vital to a democracy. “There is absolutely a future in journalism — as a reporter, as a correspondent, as a news anchor, as a researcher, as a producer, as someone who is an investigative reporter, all of these spaces continue to thrive,” said Richard Lui, MSNBC anchor. 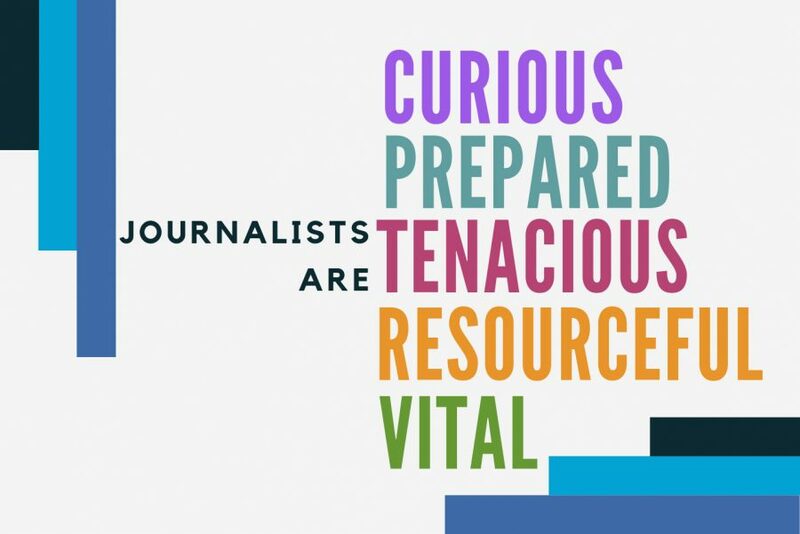 The other four videos explore essential traits for a successful journalism career: curiosity, preparedness, tenacity and resourcefulness. A new video will be released each week. “Students, whether in high school or college, must be inspired to know that journalism is an honorable craft. It is vital to our democracy, plays an important role in our society and needs them now more than ever,” said Linda Shockley, managing director. She said the diverse and accomplished journalists who were interviewed represent the bedrock values of a challenging profession who live out their dedication every day. Students are among the most anticipated target audience. Media advisers, teachers and professors, journalism mentors, career counselors and professional organizations are some of the people DJNF encourages to share these videos. The videos were produced by Jon Busdeker, Sunny Oranges Productions. 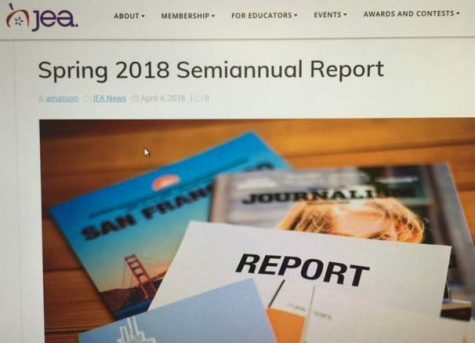 Participants were filmed in 2018 at the Investigative Reporters and Editors conference in Orlando, and the National Association of Hispanic Journalists and the Native American Journalists Association conventions in Miami. Are you inquisitive, curious or downright nosy? Do you ask a lot of questions and questions on top of those? We asked several journalists about the essential traits of a journalist. Do you want to know what they said? Glad you asked. Check out the next video in our career guide series: Journalists are Curious. Then visit the Dow Jones News Fund Showcase for tools and resources for cultivating your curiosity. Thank you to the journalists featured in this video: Marty Baron, executive editor, The Washington Post; Maria Carrillo, assistant managing editor for enterprise, The Tampa Bay Times; Carla Correa; senior staff editor, The New York Times; Adam Harris, staff writer, The Atlantic; Arelis Hernández, reporter, The Washington Post; Mary Hudetz, reporter, The Associated Press; Cassandra Jaramillo, reporter, The Dallas Morning News; Richard Lui, anchor, MSNBC; Steven Rich, database editor for investigations, The Washington Post; Topher Sanders, investigative reporter, ProPublica; Mark Trahant, editor, Indian Country Today; and Francisco Vara-Orta, formerly of Chalkbeat, now training director at Investigative Reporters and Editors. Video produced by Jon Busdeker, Sunny Oranges. Have the curiosity and determination to dig through records, interview sources and get to the bottom of a story? Great! As our first two career videos highlighted, those are critical traits for a successful journalist to have. For part three of our career guide, we asked journalists to share how they prepared for a career in journalism. From educational resources to on the job opportunities, they offered a lot of helpful advice in Journalists are Prepared. Want to better prepare yourself? We put together a list of resources that can help emerging journalists prepare for their careers and posted it to the Dow Jones News Fund Showcase. Journalism is a highly competitive industry. To be successful, you need passion, curiosity, strong skills and drive. But how does that translate into a career? We asked several professional journalists for strategies students should use on the job hunt and to build their careers. Visit the Dow Jones News Fund Showcase for a summary of their job hunting tips. Thank you to the journalists featured in this video: Erin Ailworth, Midwest correspondent, The Wall Street Journal; Marty Baron, executive editor, The Washington Post; Carla Correa, senior staff editor, The New York Times; Arelis Hernández, reporter, The Washington Post; Mary Hudetz, reporter, Associated Press; Cassandra Jaramillo, reporter, The Dallas Morning News; Jennifer Loren, executive producer and host, “Osiyo, Voices of the Cherokee People;” Richard Lui, anchor, MSNBC; Topher Sanders, investigative reporter, ProPublica; and Francisco Vara-Orta, formerly of Chalkbeat, now training director at Investigative Reporters and Editors. The Dow Jones News Fund is a 501(c)(3) nonprofit organization that promotes careers in journalism in the digital age. Our vision is robust news media staffed by well-trained, innovative journalists who reflect America’s diversity and are dedicated to a free, strong and fair press. The News Fund is supported by Dow Jones, Dow Jones Foundation, media companies and private donations.